Presenting the new Splendor+ with Integrated Braking System. Also available in IBS and i3S variant. The new Splendor Plus brings you unmatched power at a price that’s easy on your pocket. 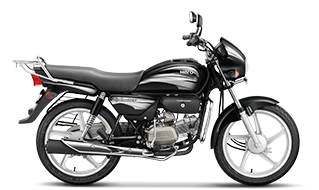 The Splendor Plus’s APDV engine promises an excellent ride no matter the distance or the condition of the roads. The Splendor Plus comes in 9 different colours. 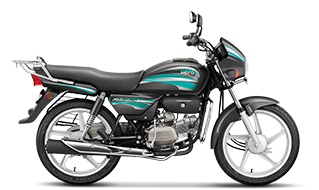 You can check out the Splendor Plus bike in different colours by simply clicking on the colour below the Splendor Plus motorcycle image or get a feel of the Splendor Plus motorcycle with the click and drag 3600 view feature. A closer look at the Splendor Plus bike photos reveal the stylish alloy wheels and the exciting body graphics which are sure to catch your eye and get you curious about the performance and specifications of this new addition to the Hero Splendor family. 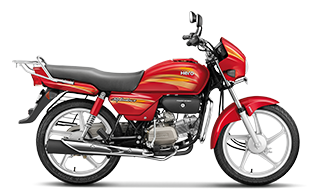 The Hero Splendor Plus bike’s mileage promises value for every rupee spent on fuel. The 4 stroke air-cooled Splendor Plus mileage bike engine delivers maximum torque of 0.82 kg - m (8.05 N-m) @5000 rpm along with maximum power of 6.15 kW (8.36 Ps) @8000 rpm. The bike can reach a maximum speed of 87 kmph. With a kerb weight of 109 kilograms (kick-start variant) / 112 kilograms (self-start variant) the bike has a maximum payload of 130 kilograms. The Splendor Plus bike has tubular double-cradle type chassis, 1230 mm wheelbase for a sturdy travelling experience as you move through daily traffic and close corners. Moreover, the dynamic shock absorbers - telescopic hydraulic in the front and swing arm in the rear combined with disc brakes and 159 mm ground clearance provides a smooth ride in traffic as well as on unfavourable roads. The Splendor Plus also comes in a fuel saving i3s technology variant that is powered with a self-start and DC - Digital CDI ignition. For detailed specifications and images at a glance, download the Splendor Plus brochure. 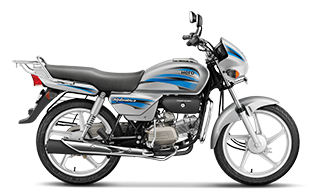 You can also book a test ride for the Splendor Plus and get a first-hand experience of the Splendor Plus Mileage bike.